Thinking of taking a trip to the world famous Barry Island Pleasure Park, or just a leisure trip around the island, you can conveniently do so on your scooter. Owning a scooter in Barry is an excellent choice if you need to commute around the breathtaking island every day without bothering about using public transport. Faster in Traffic: Scooters are easy to manoeuvre and can sneak through small gaps in traffic which come in handy when you need to get out of traffic fast. 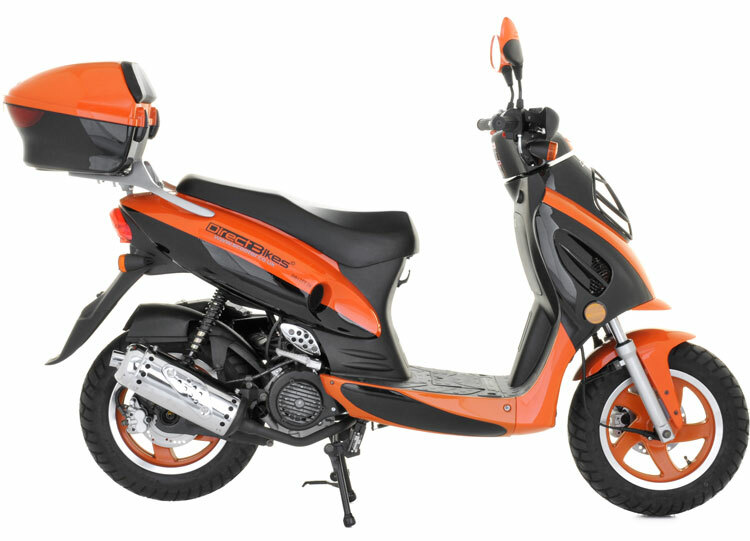 Fuel Economy: A little fuel goes a long way when it comes to scooters; this allows you to save more on buying fuel. Price: Our scooters are cheaper than any other scooter on the market. Finance Options: At Direct Bikes, our finance options are very flexible, allowing you to pay in instalments if you can't pay the entire sum at once. Insurance: At Direct Bikes, we take our services up to a notch by helping you compare the best insurance deals for your scooter. Design: Direct Bikes scooters are aesthetically different from the rest; our scooters are available in different sizes, colours, and styles and are customisable to suit your preference. Direct Bikes makes owning a scooter in Barry easy. We deliver straight from the manufacturer to you wherever you are in Barry. All you have to do is fill in your delivery details during payment, and you will be zooming through the streets of Barry in no time.